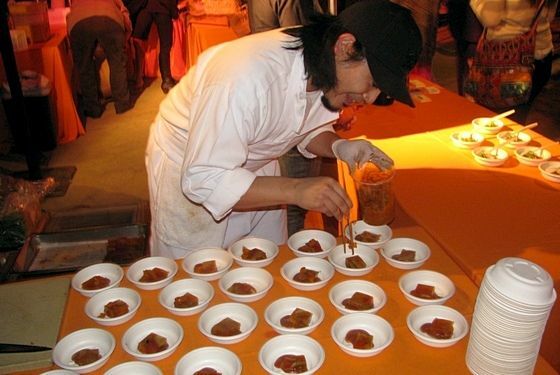 Chef Evan Gotanda, hard at work on a tomato gelee salad in partnership with Fairview Gardens. 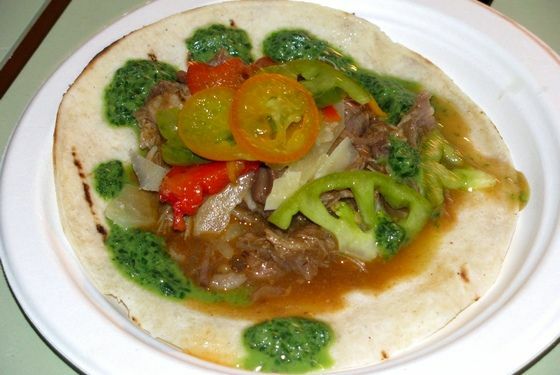 Braised pork cheek and shoulder tacos with pickled green tomatoes, Italian pimento peppers, candied kumquats, Vella Monterrey Jack, Osaka mustard, and green chimichurri, in partnership with Maggie's Farm. 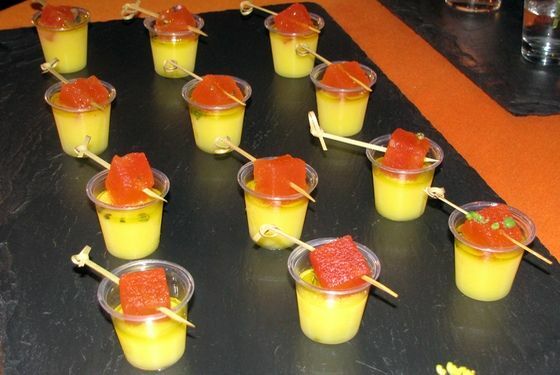 Cucumber chawan mushi, in partnership with Tutti Frutti Farms, with tomato gelee and gazpacho. 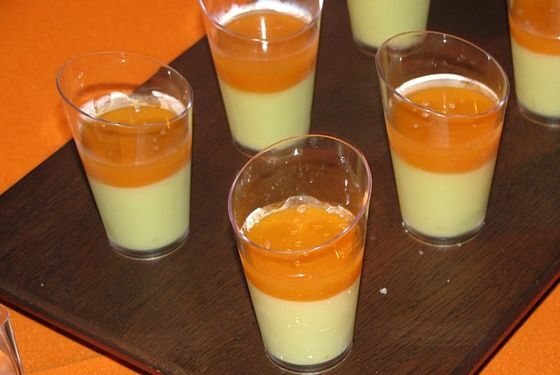 Chilled heirloom melon soup from Paul Shoemaker, in partnership with Murray Family Farm. 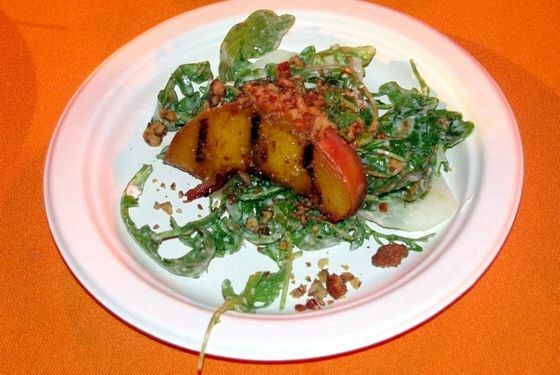 Grilled peach salad with crispy prosciutto, in partnership with Reiger Family Farms. Chef Jeremy Berlin takes a break from stuffing Jaime Farms' tomatoes. 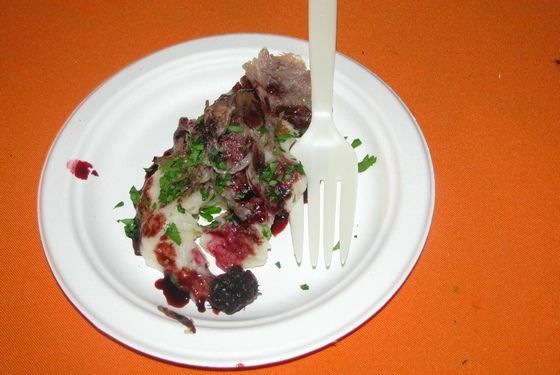 Sonoma duck confit with potato puree, mulberries, and Pinot mulberry sauce. 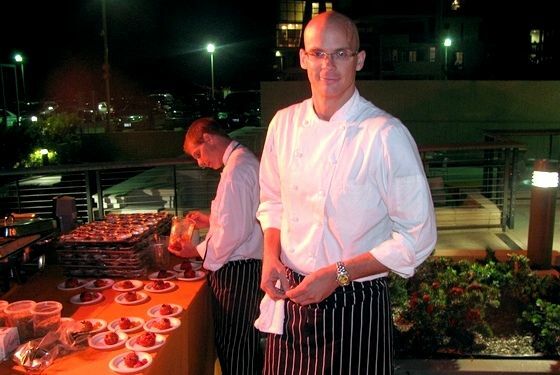 Michael's was partnered with Wesier Family Farms, but also brought a dish of Harry's Berries' strawberries with creme fraiche, along with a few bottles of his Malibu-made pinot. 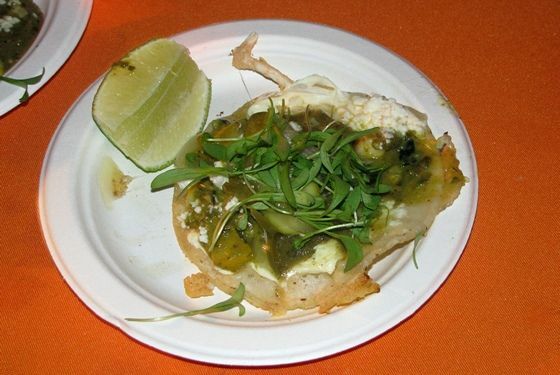 One of our favorites was this elaborate taco de carnitas with gorgeously griddled cheese from locavore hero Ray Garcia, in partnership with Harry's Berries. 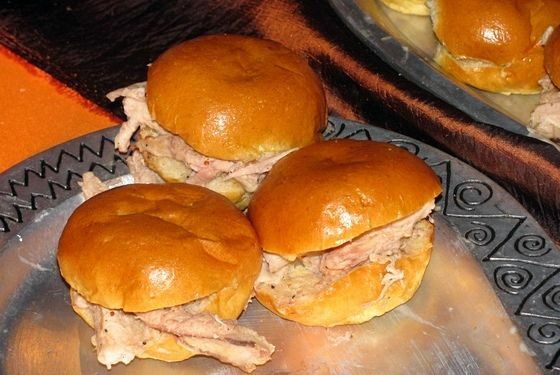 Joe Miller, still standing the day after his restaurant turned 20, prepared these simple, excellent pork sliders. 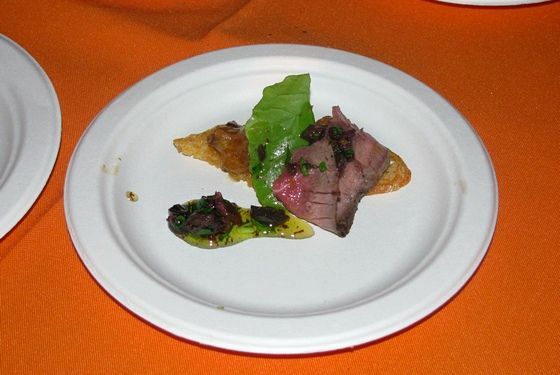 Suzanne Goin and her crew offered this sublime crostini with lamb sirloin, tomato eggplant jam, and sliced Throubes olives. 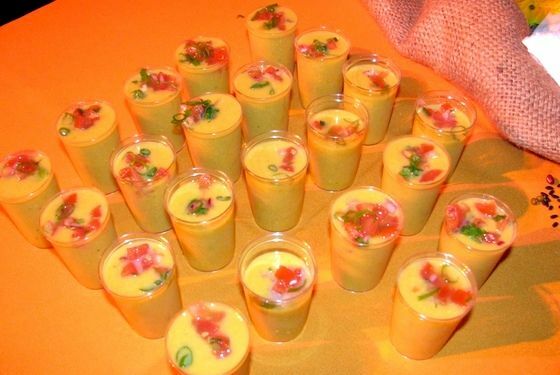 Chilled sweet corn soup, in partnership with Mud Creek Ranch. 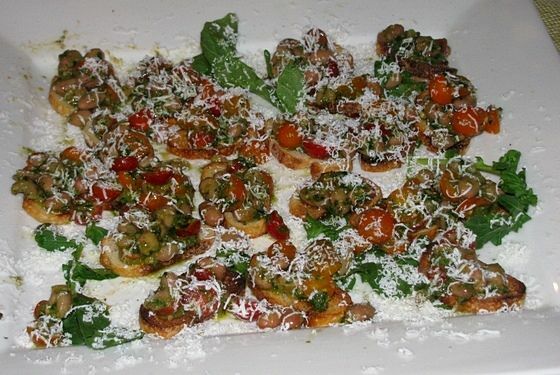 The catering outfit offered cranberry bean crostini with cherry tomatoes, in partnerships with Flora Bella Farms. 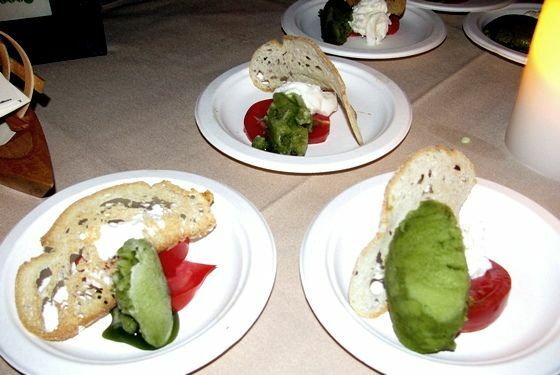 The restaurant's caprese del contadino utilized a basil sorbetto, local burrata, and heirloom beef steak tomatoes, with help from Beylik Farms. 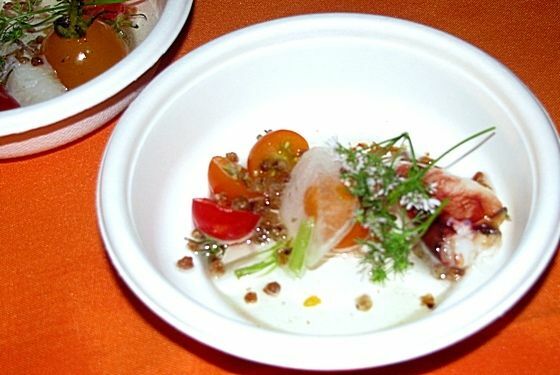 Mark Gold offered a stunning dish of tomato, crab, and buckwheat, with partner Coastal Farm. 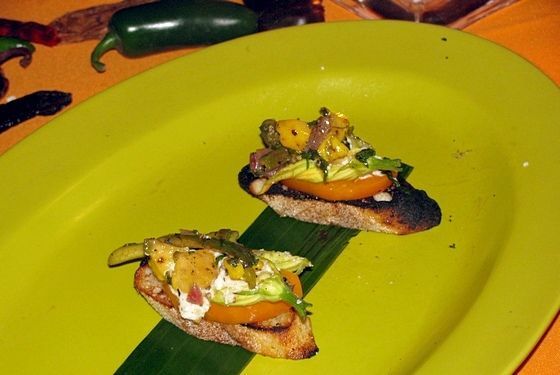 Offered squash blossom crostini, with chef Mary Sue Milliken in the house and partnered with Valdiva Farms. 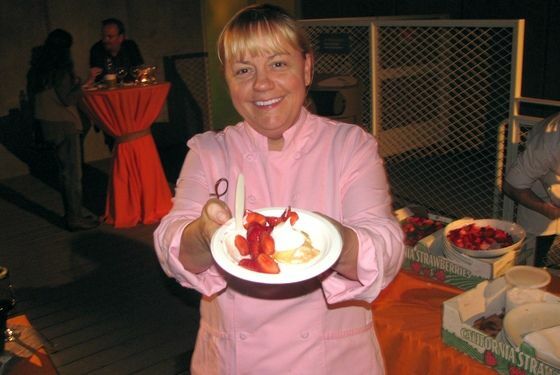 The Spago pastry legend capped the night with gorgeous strawberries from McGrath family Farms.